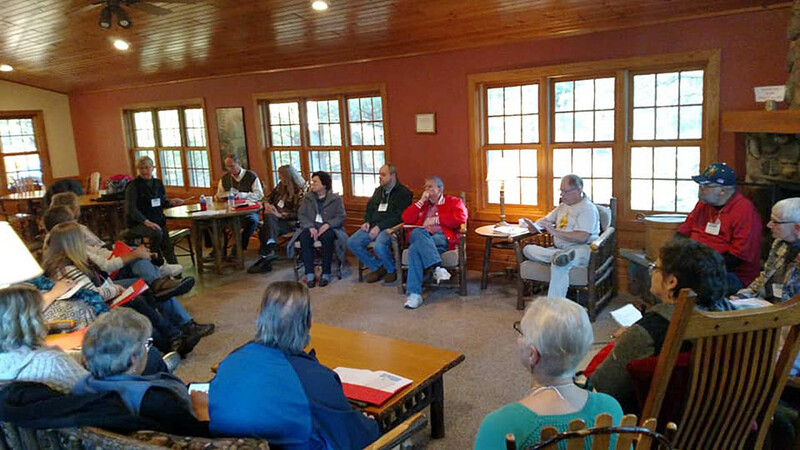 On a beautiful fall weekend in November, more than 70 lay and clergy leaders gathered at Mt. Morris Camp and Conference Center for a Lay Ministry Conference hosted by the Western District Executive Board. 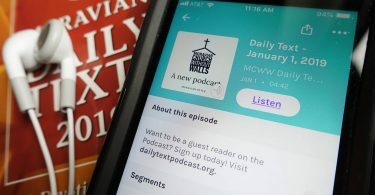 “We identified a need for strengthening lay leadership in our churches through listening sessions with clergy and congregations, and joint board check-ins with both the previous and current District board,” explains Megan Smock, a member of the current (WDEB). After much discussion about ways to facilitate this process, the current district board decided to hold a lay leadership ministry conference. The idea was to offer workshops that would give attendees specific “tools for their toolbox“ to use in identifying encouraging and empowering lay leaders in our district and province. 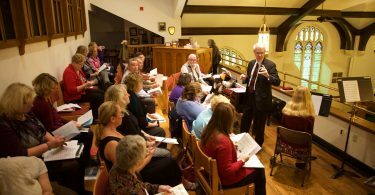 The WDEB brainstormed ideas for possible workshops focusing on various aspects of congregational life, with an emphasis on those sessions being led by lay members, or lay with clergy whenever possible. Among the sessions offered were “Mission Down the Street and Around the World” with Justin Rabbach, Rt. Rev. Chris Giesler, and Jill Kolodziej from the Board of World Mission; Joint Board Leadership, Rules and Responsibilities with Rev. Kerry Krauss, pastor of Sister Bay Moravian Church; Identifying, Claiming and Nurturing Gifts and Inviting, Supporting, and Elevating the Call to Lay Ministry, with Marie Couts, director of Christian Education, Eastern District; Spiritual Companioning with Rev. Mary Lou Plummer and Amy Andersen; Functioning as Lay-Led Congregation with members from Main Street Moravian Church; Discerning the Needs of Your Community with Julie Rucks and Eric Voight from Wisconsin Rapids Moravian Church; Crossroads Lay Ministry Classes with Jill Peters and Jon Gehler; and a panel discussion on lay-led worship with Rev. Bruce Nelson and Megan Smock. 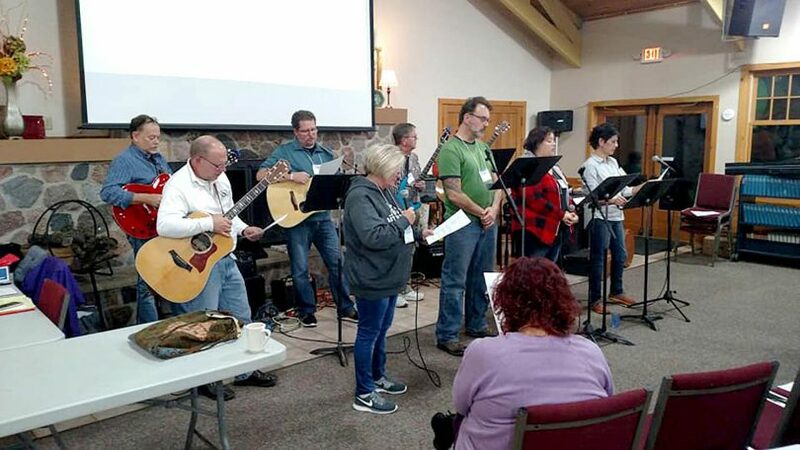 Along with the learning opportunities of the workshops, the Western District Ministry Conference offered participants worship and fellowship. The lay members of the District board each led a worship time featuring scripture, readings, prayers and a Cup of Covenant. The Lake Mills Moravian Church Praise Band provided music and gave a wonderful concert on Saturday evening. There was also time for fun including a Saturday evening campfire, a Mt. Morris tradition, a skit by the District board, visiting with old friends and making new ones. The District Board is planning another conference for 2019. 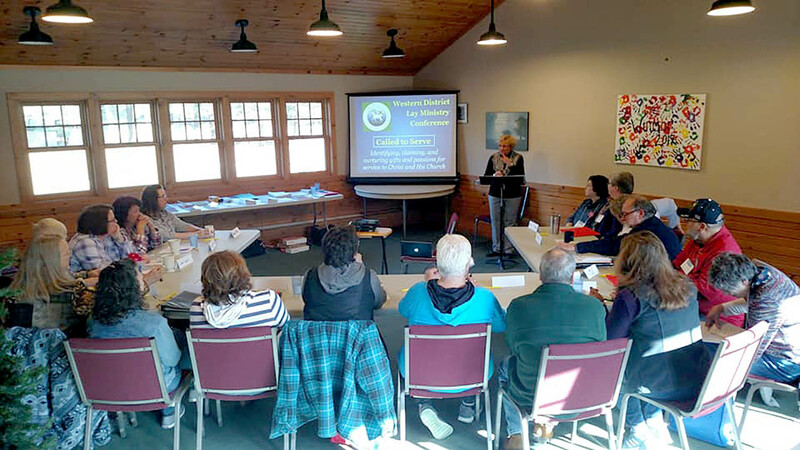 Some future topics suggested by attendees during our wrap-up on Sunday morning include conflict resolution, how to lead a joint board meeting, more on Spiritual Companioning, identifying spiritual gifts, and more on mission development in congregations. 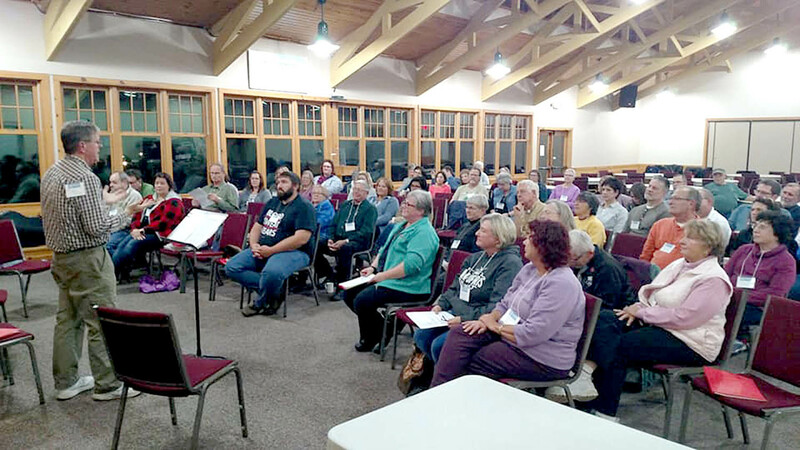 As part of the Western District’s Lay Ministry Conference in November, members and friends from Main Street Moravian Church in Northfield, Minn., presented a session entitled “Functioning as a Lay-Led Congregation.” Judy Anderson, a part of the Main Street congregation, offered this insight on the work of their church. During our session, eight brave souls each shared their own stories about experiences that brought them to Main Street and what they have done since. As lay people, I don’t think any of us anticipated where our journey was going to take us. Main Street Church has been lay-led since August 2011 when their full-time pastor took a call to serve another church in the District. Pastor Amy Gohdes-Luhman had been with Main Street for 15 years or more; those were big shoes for any pastor to fill. But the size of the membership and the finances brought a sharp reality check. There would not be the ability to call another pastor. What were their options? One was to close the doors, but this was not something we were willing to do. The Northfield Moravian Church was formed in 1869 by 11 German immigrant farmers. German was the language used in this church until 1934. The present church was built in 1952, and is located on the edge of the downtown business district. Thus it has come to be known as Main Street Moravian Church. As a church, it has gone through many changes including being yoked from 1966 to 1996 with two Methodist churches. One pastor served all three of these churches. That yoke was broken with an intentional restart of Main Street Church when Pastor Amy was brought on board. The deep roots and past experiences were what gave this congregation the courage to ask the difficult questions needed in 2011. With the departure of Pastor Amy, many people left the church. This is especially true of the younger families with children and those that could not see themselves in a church without their own full-time pastor. Those remaining looked outward to identify needs in the community that were not being served. Were there needs they could still meet? We chose to build on what Pastor Amy started in 2009 with Town Hall Meetings held at the church to focus on the drug and addiction problems of our youth. This was not a popular choice for all the members. With much prayer and meetings between members of the recovery community and church members, that outreach resulted in the first Recovery Welcoming Faith Community service at the end of October 2012. This first service was jointly led by the interim pastor of the Recovery Church in St. Paul, Minn. and Moravian pastor Mike Eder of the Chaska Moravian Church, Chaska, Minn. There was, and is, incredible growth and transformation of those “gems in the pews” as we each chose to move from “spectator” to “participant” in the life of their church. And while we each are on an individual spiritual journey, we have a collective impact in the Northfield community. We are serious about the “all are welcome” ideal and we find ways to put a focus on fellowship, food and fun. We also find ways for Main Street to be a safe sanctuary, where one can come as they are and be accepted as they show up. We aren’t perfect! “You may not like all of us, but you will come to love us in a special way, the way we already love you” is lived out here. Prayer, faith and community outreach is what God calls Main Street church to do. We may be small in number and aging, but we have big loving hearts. Judy Anderson is a member of Main Street (Northfield) Moravian Church in Northfield, Minn.